New matching conditions including Agency, Departments, Policy Effective Dates, and more! EZLynx has integrated with CoreLogic® to bring you residential pre-fill and reconstruction cost valuation in the EZLynx Rating Engine through the RCT® Express estimating platform from CoreLogic. Residential pre-fill will drastically improve your home quote process by allowing you to use MSB lookup within EZLynx to automatically pull information about a home prospect. This will help streamline an agent’s homeowner policy quote process and improve the consumer experience by allowing agents to simply validate the property characteristics instead of attempting to fill in data fields themselves with homeowner-supplied information. You can further improve your process with the MSB reconstruction cost valuation tool to predict the cost of replacing the entire home. Our new Home Lookup provides you with a few options for the home lookup; normal Home Lookup and Home Lookup with Replacement Cost. You can access the new Home Lookup option in the Home Rating portal on the Policy Info tab, as shown below. Like our Vehicle Lookup, the new Home Lookup does require the user to review and consent to our usage agreement. To start the ‘Home Lookup’ workflow, simply click on the green Home Lookup button shown above. 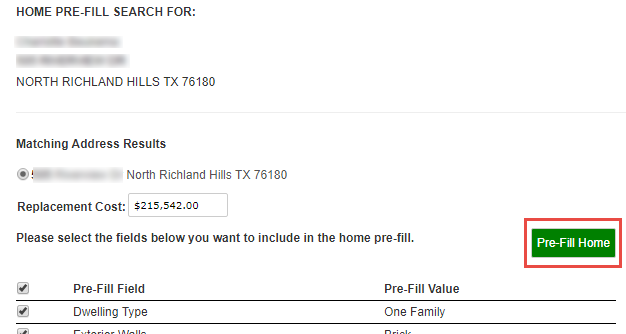 This will direct you to the ‘Home Pre-Fill Search Page.’ In the image above, notice that the option to search for the desired home is not enabled. Once again, this is because you will need to accept the terms of the Usage Agreement. To do so, click on the blue ‘Usage Agreement’ hyperlink. 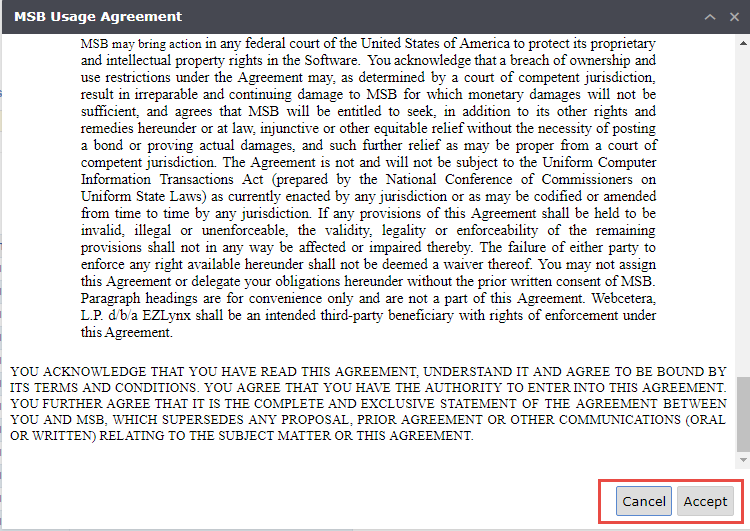 Once you have reviewed the Usage Agreement, you can click the ‘Accept’ button at the bottom. This will place a check mark in the box next to ‘I accept the terms of the Usage Agreement’. After you have accepted the terms the Search Home button will be enabled. 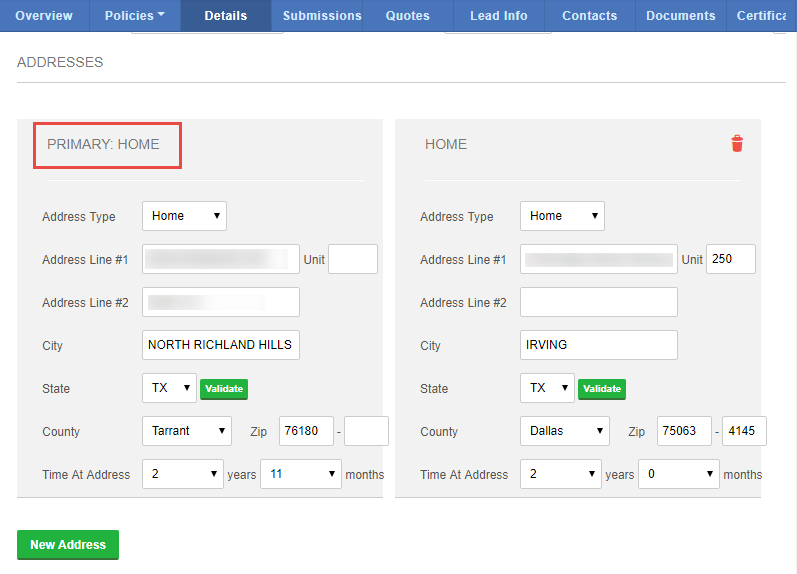 On the new Home Lookup results page, you can see the applicant who you are preforming the home lookup on and the address you entered when creating the applicant. 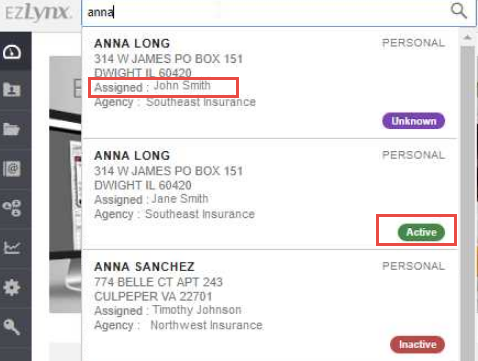 In the next section, the Matching Address Results, you can see the returned address for the applicant from the lookup. Depending on which version of the product you have enabled, you will see either the normal Home Lookup returned values or the Replacement Cost followed by the Home Lookup values. In the image to the right, you can see that this user was enabled for Home Lookup with Replacement Cost. In the returned pre-fill table, you can deselect any of the returned values. We have provided this option in case there is a value you wish not to pre-fill in to the Home Rating application. It is also important to note that for each of the two product options, Home Lookup and Home Lookup with Replacement Cost, we will display all the supported fields we will return values for depending on the version of the product that is enabled. If there is a returned field that we did not receive a value for, then we let you know this by displaying ‘Value Not Found,’ as shown in the image above. The next important section we would like to highlight is the ‘View additional rating data,’ which is located directly below the returned field/value table. This will allow you to view all the fields and values returned on the Home Lookup that are not applicable in EZLynx. The information returned here is not applicable in EZLynx, but might be information that can be entered on the Carrier’s site during quote finalization. Finally, just like with our Vehicle Lookup, for the Home Lookup, we provide you with an audit trail detailing the number of previous Home Pre-Fills for the respective home address being searched. If you want to prefill the returned values for the home lookup, then simply click the green Pre-Fill Home button and the system will add the returned values to the appropriate fields in EZLynx. To confirm that the prefilling is complete, you will see a completion message appear when you are directed back to the Policy Info tab in the Home Rating portal, as shown in the image below. There are two versions of the new home lookup enhancement; a standard Property Lookup and Property Lookup with Replacement cost. The replacement cost value returned is the cost to replace the dwelling, minus the cost of debris removal. For agents that don’t need the applicant’s home replacement cost pre-filled, we recommend using the standard Property Lookup option. The two different options do return different fields during their respective lookups. The table below details the possible values that can be returned for the two prefill options. 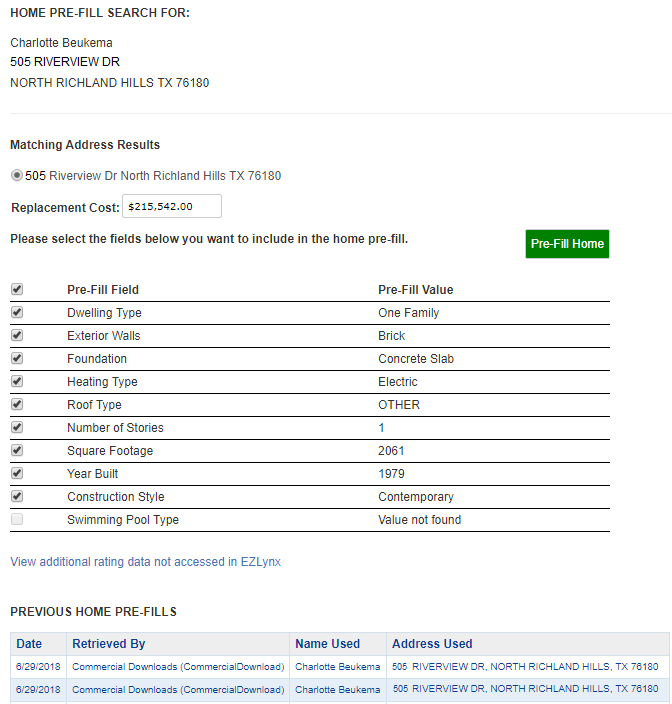 Like our LexisNexis product, you can control which users can access the new home prefill product in your organization. Simply navigate to the Product Settings area in the left navigation menu. Once there, you will notice a new option in the ‘Select a Product’ dropdown, either Home Prefill or Home Prefill with Replacement Cost (depending on which product your organization has enabled). Once you have selected the respective Home Prefill product, you can then determine which users to give access to. You can easily view your organization’s usage of the new Home Lookup product via the Product Usage Report in the EZLynx Settings menu. Simply select the product your organization is enabled for and we will provide you with details as to the number of uses, remaining complementary uses (if applicable), your pre-use price point, and maximum monthly charge. We hope you enjoy this great new product and add-on to the EZLynx Home Rating portal. It is our goal to strive to provide you with new and exciting enhancements that will make your job of managing your agency easier and more efficient. Stay tuned for more great Rating enhancement to come shortly. CORELOGIC, the CoreLogic logo, Interchange and RCT Express are trademarks of CoreLogic, Inc. and/or its subsidiaries. With this release we are excited to add several features to our Enhanced Workspace product. The first new enhancement will allow you to add users in your agency to department in EZLynx and then assign tasks to the individual departments. The second enhancement adds checklist functionality to your tasks. A checklist is simply a grouping of items that you want your assignee to complete. This is the first version of checklists that will be coming out this year. 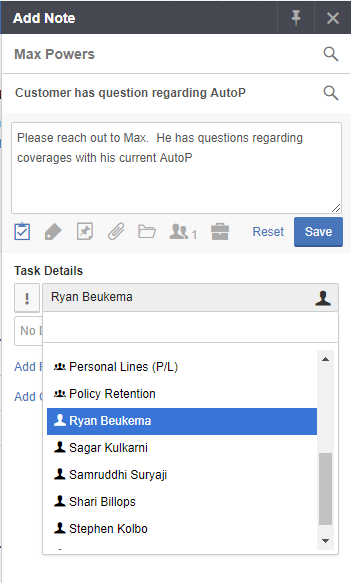 Departments can be associated to policies and can now be associated with a group of users. To create departments, navigate to the EZLynx Settings menu and select Manage Departments. Here you can create your own custom departments that can be associated to lines of business on policies and used to group users in your organization for tasks. When creating departments at the parent office, be sure to create all the departments your sub-branches will need. For example, if your sub-branches have different names for their particular departments, be sure to create them in accordance. We have updated the Note Setting area in the EZLynx Setting menu. 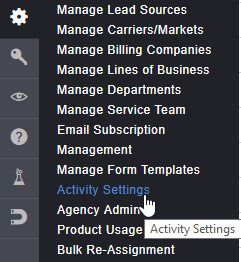 It is now titled ‘Activity Settings.’ This is where you can create labels via the existing Label Management tab and now add users to the departments via the new Department Team Management tab. Now, to utilize this great new feature, you will need to have access to our Enhanced Workspace. On the ‘Department Team Management’ tab you can see a single instance of the departments for your organization. If you have branches in your organization, then you will see a column titled ‘Agencies’ that allows you to see which branches in your organization have users associated to the respective department. For those users without branches, you will not see this column. To add users to a department team, click on the ‘manage’ option for the department. This will launch the ‘Manage User’ modal where you can select the users who you want to place in the department. Please note: only users with ‘Peer Access’ (the ability to see other people’s applicants in their agency) can be added to a department team. For those organizations with branches, when a user at a branch is selected to be part of a department, this creates an instance of the department at that branch. You will always only see once instance of the department in the department table, but you will easily be able to see if your branches have an instance of the department based on the ‘Agencies’ column. In the image below, we see that the Personal Lines – Support department has 2 members in it. One user is located at the Main Office and the other is located at the Sub-Branch A. The users assigned to the department, when they access the workspace, the respective user will see that department as an assignee to assign to a task. It is important to note that if you are assigning a task to an applicant in a sub-branch and you want it to be worked by the users in that respective branch, then be sure to select the department in that specific branch. We will look at this in greater detail in a later section. On an applicant, click on the notes Icon and click the task icon. In the task assignee drop down, the departments that have users associated to them will appear in the assignee drop down. When a task is assigned to a department, it will assign it to the users in that department. Notice that departments have an icon with a group of people, while the individual users in the drop down have a single person icon in-front of their name. Also notice in the image to the below that you can now see the ‘department assignee’ icon in the details regarding the task. This has been done for you to clearly see which tasks are for individuals and which tasks are for departments. The example we just reviewed is looking at an individual location, that does not have access to branches. When assigning tasks to departments in branch organizations, the tasks assignee drop down will have the branch’s departments alphabetized with the other tasks assignee options to select. Currently there are a few ways to view tasks that are assigned to you. 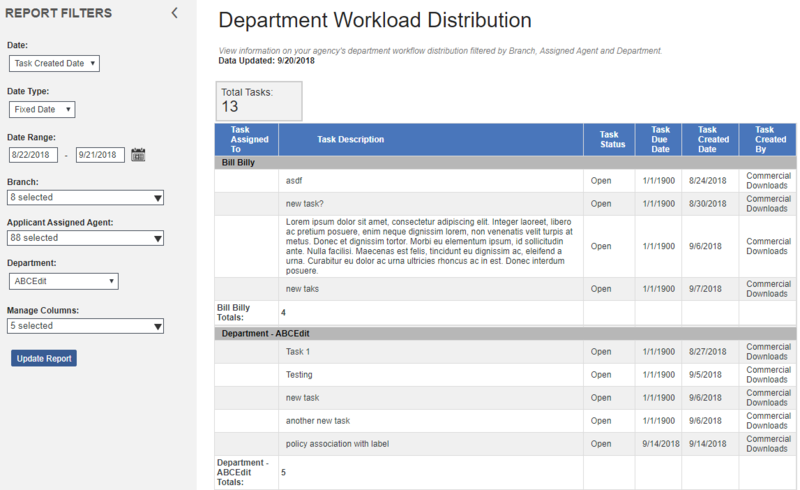 You can look at the Tasks List in the Workspace and you can look at the Agency Tasks page. With this release, we have updated these pages to reflect the new department teams enhancement. All My Tasks – these are all the tasks assigned to you and the departments you are associated to. Department – these are the tasks assigned to the individual department at your respective branch. You will only see departments that you were assigned to. 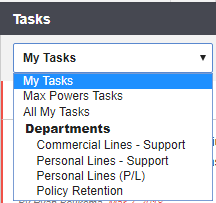 When viewing your tasks on the Agency Task page, you will now see the departments you are associated to appear in the ‘Filter Assigned Users’ drop down. 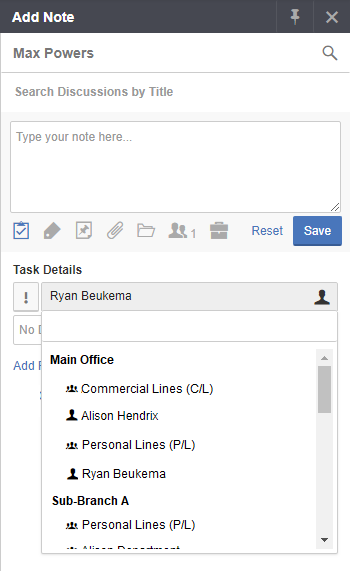 Like the Task List filter, simply select the assigned user to filter the page by. If you are wanting to filter the page by the Personal Lines (P/L) department, then select it from the drop down and your page will be filtered to those results only. For those users in the organizations with branches, remember on the Agency Task page, you will need to first select the branch you would like to filter by and then the assigned user of the task. 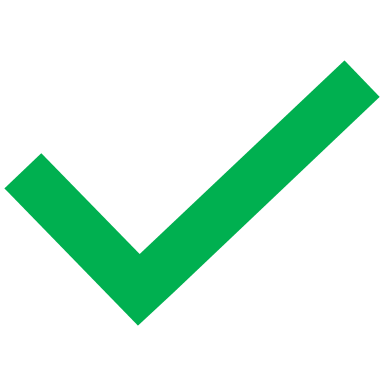 A checklist is a list of items, added to a task, that must be completed for the task to be able to be marked ‘complete’ and closed. When you are editing the task, all the checklist items MUST be marked completed in order to access the complete option for closing the task. 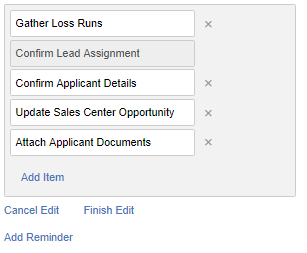 For those who have the Enhanced Workspace, you will now notice a new item when creating a task, the option to ‘Add Checklist.’ This new option is easily located above the ‘Add Reminder’ option in the workspace pane. 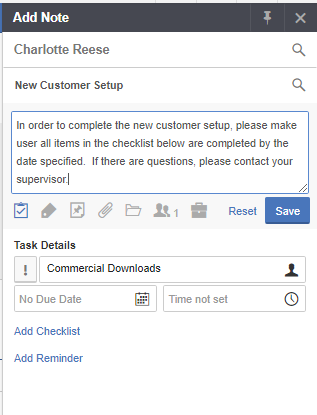 The ‘Add Checklist’ option allow you to create a list of items needed to be completed for the task assignee. This is a great way to ensure that your agencies standard practices are being handled and done correctly. Checklists allow you to list off items needing to be address by the assignee and then track their status in EZLynx. This feature will help add confidence that your team is attending to all necessary actions for your clients. Click on the ‘Add Checklist’ option in the workspace. This will launch the Checklist area where you can type out your items needing to be completed as part of the task you are creating. As you can see in the image to the right, we have added 5 checklist items that will become part of the task when it is created. If there is an item you have added to the list that you would like to remove, then simply click the ‘X’ to the right of the item description field. If you find that you made a mistake during the tasks creation and do not want to add a checklist, simply click the ‘X Remove’ option to remove the entire checklist. Adding items to the checklist is simple. When you are finished entering the description, you can hit ENTER on your keyboard to add another item or you can click the ‘Add Item’ option in the checklist area. 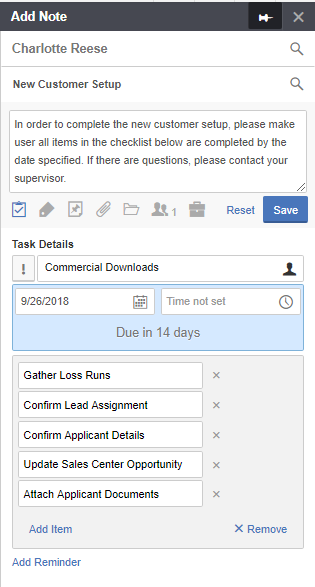 One thing to note, while creating a checklist for a task, is that if you leave a checklist field blank, then the system will automatically remove it from the checklist when you save the task. If you have created your new tasks and added a checklist but find yourself needing to edit an item in the list, you can do so if you choose the edit the task. When you are editing the task click on the ‘Edit Checklist’ option. Here you can remove items, update wording and add extra item to the list if needed. Items in the checklist that has already been completed are greyed out and can’t be edited. If you need to edit a completed item, then simply exit the edit mode and ‘uncomplete’ the item. This will then permit you to edit it. We will discuss more about completing and uncompleting items in a checklist in the next section. When you are finished editing, simply click the ‘Finish Edit’ option to save your edits to the checklist. Remember, that the checklists are part of the actual task, so for your changes to be applied, you will need to SAVE the actual task. When viewing a task with the checklist, to mark an item as completed click on the checkbox next to the item. You’ll notice that in the completion bar when you update an item, the completion bar will update as well as the items completed. When you are done checking or unchecking items in the list, simply click the SAVE button on the task. You DO NOT have to add a note to complete or un-complete items in a checklist; however, you are required to simply save the task to retain the edits. When viewing a checklist, if there are completed items, you can see who completed the item and the date/time the item was complete by simply hovering over the item that has been stricken through. 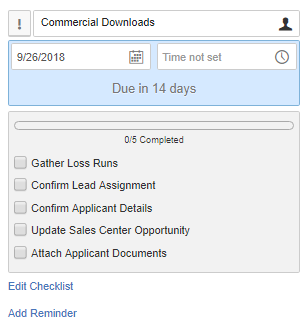 This quick notification provides you with a fast and easy way to review completion details without having to access the Applicant’s or Agency’s Activity pages. You can access the details of a task via the Applicant’s Activity page, the Agency Activity page, and the Agency Task page. In the image below, you can see the we have expanded the Task’s discussion and we can see a few new things. You can see the EZLynx system notes detailing what was done to the checklist and task. Notation and description of an item removed. 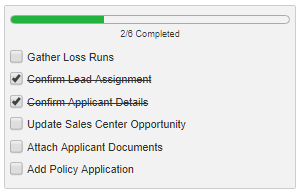 You can also view the completion status of a tasks having a checklist in the Task List in your Agency Workspace. Notice in the image above, you can see the green completion bar for the task and the number of completed items (2/6 completed). We would love additional feedback on how your agency is using checklists while we develop the ability to create checklist templates to support your agency’s standard operating procedures. Client Center has always helped agents provide secure information and convenient self- service any time any place to their insureds, but with this release, we are expanding those capabilities to additional lines of business and to leverage with prospects during the sales cycle. A potential customer can log into the agency’s Client Center to share documents such as financial and employee information with the agent without fear of the security risks that come with email. 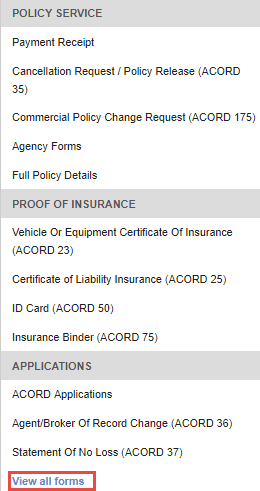 We’ve also added functionality to let your commercial insureds view additional policy details. With this update, we wanted to give additional access to prospects in your system who do not have an active policy. This allows the secure transfer of documents and confidential information during the sales process. We have updated the policy screen display in Client Center to be consistent with the summary screens that are displayed in EZLynx and added 19 additional LOBs. This update allows you to provide additional policy information for your customers convenience and reference. Allows agencies to customize their customer’s experience within Client Center to an even greater degree. Unchecking this box hides the policy details from their insured in Client Center. Insured’s will still see basic policy information including the carrier, line of business, policy number, effective date and expiration date. The details such as coverage limits, locations, additional interests and more are hidden from view. Agencies who do not perform any commercial servicing requested the option to hide the “Request Certificate” section from their clients. Unchecking this box removes the certificate section and the ability from insureds to request a certificate from the documents tab of Client Center. The agency is still able to share generated certificates through the documents area if required. Over the next month, we are rolling out the ability for Management System users to store additional addresses in their customer accounts. This will help you to stay more organized and reduce duplicate entry. 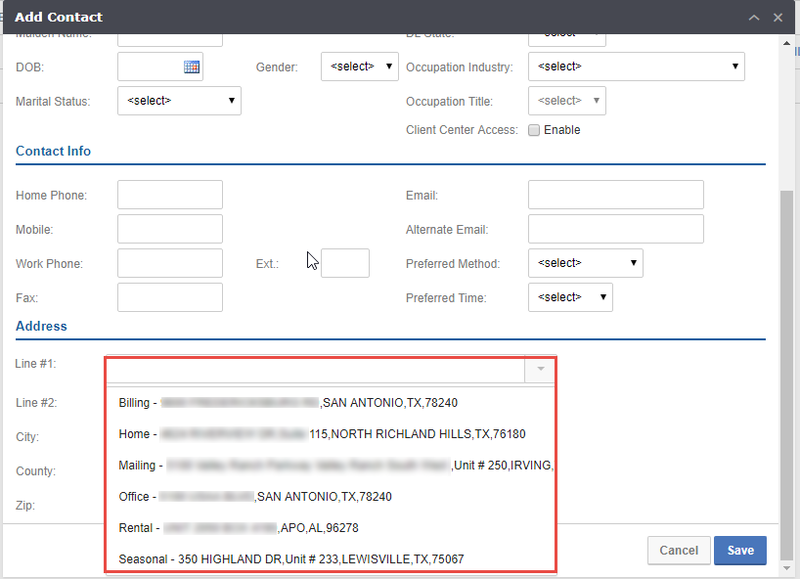 This feature gives the users the ability to store multiple addresses for personal and commercial applicants. With this rollout, you will be able to add five addresses in addition to current and previous addresses that you can maintain for EZLynx Rating today. Once we’ve rolled this out to your agency, you will see a new option for “New Address” in green on the applicant details screen. Once you click on “New Address”, you will be able to enter additional address details. First added address is always the primary address. It is the one that will flow into EZLynx Rating Engine and will display across the platform as the primary address. This will also be the address that flows into reports. You will be able to store overseas military addresses for the applicants. It must contain the APO or FPO designation in the “City” field along with a two-character “state” abbreviation of AE, AP, or AA and the ZIP Code or ZIP+ 4 Code. AE is used for armed forces in Europe, the Middle East, Africa, and Canada. AP is for the Pacific; and AA is the Americas excluding Canada. On the add contact form, you will see a new arrow at the end on address line one. This will display any account level addresses you have added for use with contacts. While sending postal mail, with this feature update you will be able to take advantage of the addresses stored for the applicants and send the mail to any of those additional addresses. These additional addresses will be available for selection in the “Mail To” dropdown as indicated below. As indicated below, all the addresses saved for an applicant will be available for selection while selecting the mailing/physical/location address in the application/policy entry screens. You can either select any of these addresses or choose to enter a new address. If you choose an existing address and update it within the application, the address on the details tab will remain the same. With the ability to save billing address for an applicant, now you can generate invoice and send it to the billing address. Our system will automatically select and pick the billing address as the “Bill To” address whenever the billing address information is available. 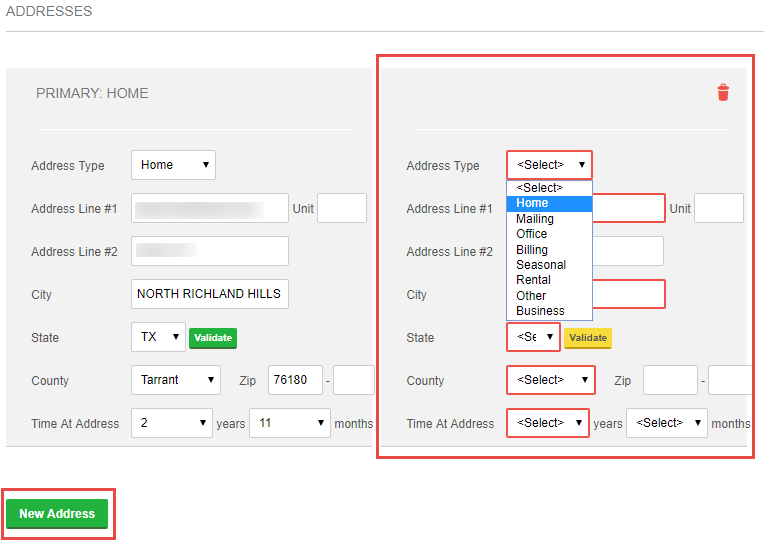 If there is not a billing address, we will prefill the primary address in that field. We believe that, this feature update to save additional addresses and leveraging in multiple instances in the system will result in enhanced productivity and increase the efficiency of agency operations. We have been working towards updating the Reporting product. With this release we have created a new report and have further enhancements to our existing reports. 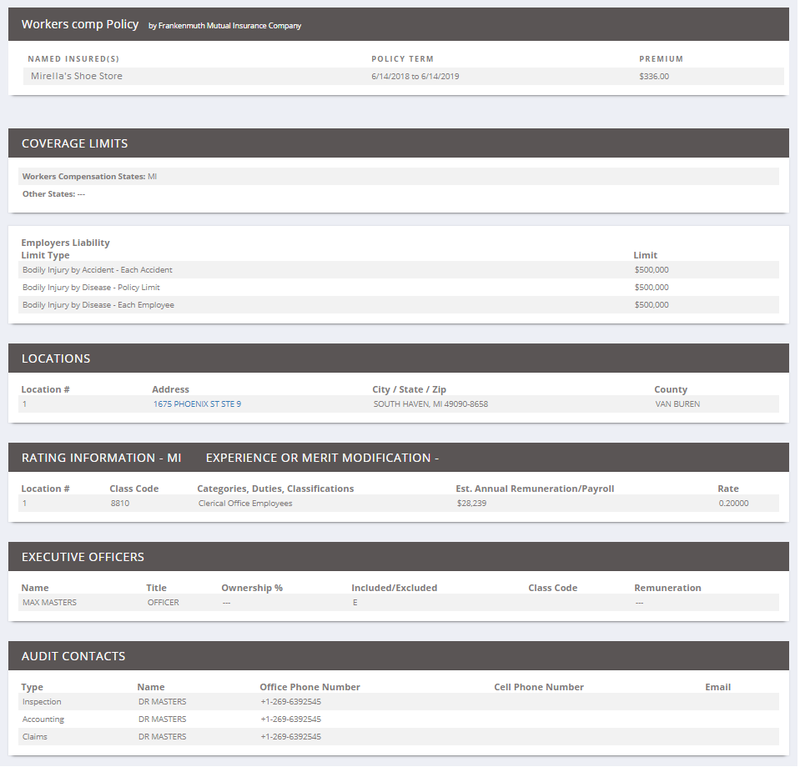 Agencies with Enhanced Workspace can access this new report in the Activity Reports section. This report allows you to view departments and agents task information for workflow distribution. Like other Detail report you can filter by Branch, Assigned Agent and Department. New Business Transactions Detail Report has been updated to show one-line item per policy. This would help the agencies to get the count of New Business policies sold. Birthday column has been updated to sort using the date instead of the whole birthday. In this release, EZLynx continued to focus on performance and stability of the Accounting system. We’ve also included a couple of frequently-requested enhancements to provide more flexibility with how you report your revenue. We added a new configuration option for the recognition of direct bill revenue. The system now allows you to recognize revenue based on the statement date. The system configuration setting for Use Accrual Basis for Recognition of Direct Bill Income has been replaced by the new setting Post Direct Bill Income By. To change the configuration setting, go to Accounting | Configuration | System Settings. Receipt Date: when selected, this posts direct bill revenue on the payment date of the receipt attached to the commission statement. 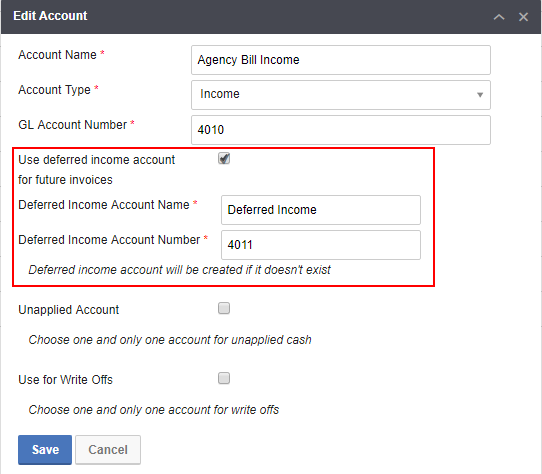 This option replaces the former configuration setting of unchecked for Use Accrual Basis. Statement Date: when selected, this posts direct bill revenue on the statement date. You still must attach the statement to a receipt in order to post to the ledger, but once attached, the revenue will be posted as of the statement date instead of the receipt payment date. Transaction Date: when selected, this posts direct bill revenue on the individual transaction dates of each commission statement detail. 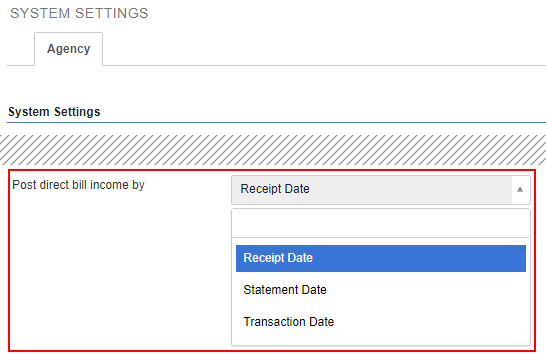 This option replaces the former configuration setting of checked for Use Accrual Basis. Previously, future agency bill invoices were posted as of the billing effective date, so that income was not recognized before the policy effective date or endorsement date. Because the receivable was also posted as of the effective date, this could result in scenarios where a received payment was posted with a date before the receivable. Line items are now displayed in the correct order on a printed invoice according to the line item configuration. Occasional errors in the total A/R balance on printed customer statements have been resolved. Direct bill payment receipts of type Forward now show the correct policy details on the overview screen. Occasional errors in the QuickBooks Online (QBO) interface that would “strand” transactions in a “processing” status have been resolved. QBO authorization for the live interface will now be refreshed automatically, so you will not have to manually reconnect QBO every six months. When invoices in a branch are paid with a receipt from a different branch, the Applicant A/R Balance on the Invoices tab will now reflect the correct balance. The Refund Credits action on a Check will now allow you to select receipts in a branch. What’s New with EZLynx Document Management? Throughout our Forms Beta we have been receiving your feedback and have been able to make some great updates. Let’s look at what the beta includes along with our latest updates. EZLynx has updated the Forms link to include a shortened list of forms displayed by category to make it easier to locate a specific form quickly. These forms are used to service the policy. 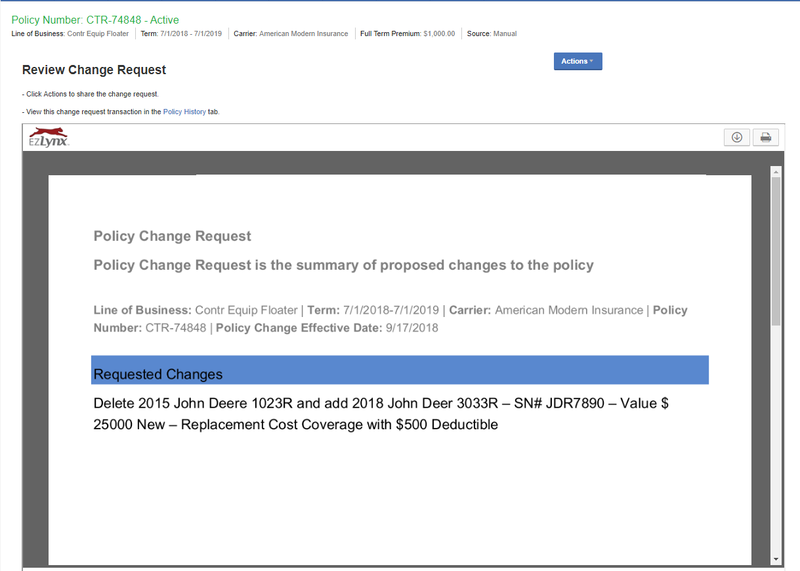 The Policy Change Request form displays for commercial policies. Certificates according to the policy LOB, including personal and commercial ID Cards. Instead of a long list of ACORD forms, now a user can access all ACORD forms associated with the Applications. View all forms redirects you to our ACORD library. 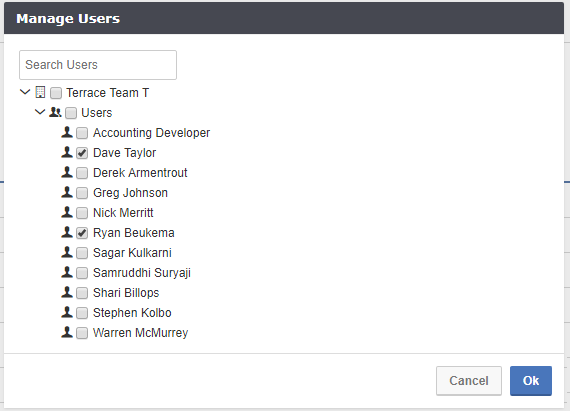 The New Form Selection screen can be access when you click on ACORD Applications, Agency Forms, or View All Forms. 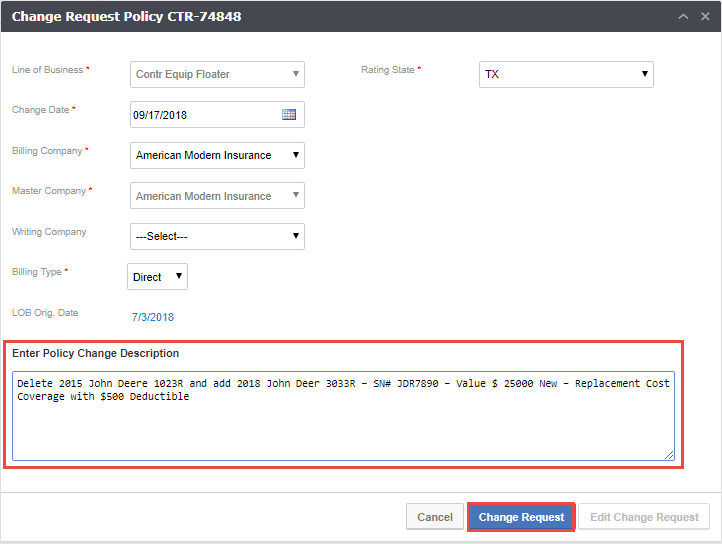 When chosen from a policy’s Forms link, the policy number will automatically display in the Pre-Fill Info From box. To change, click the applicable drop-down to select another policy or an application. Access the most current versions of ACORD forms. Need a form with a different Version date? Then check the box Show Historical Versions. 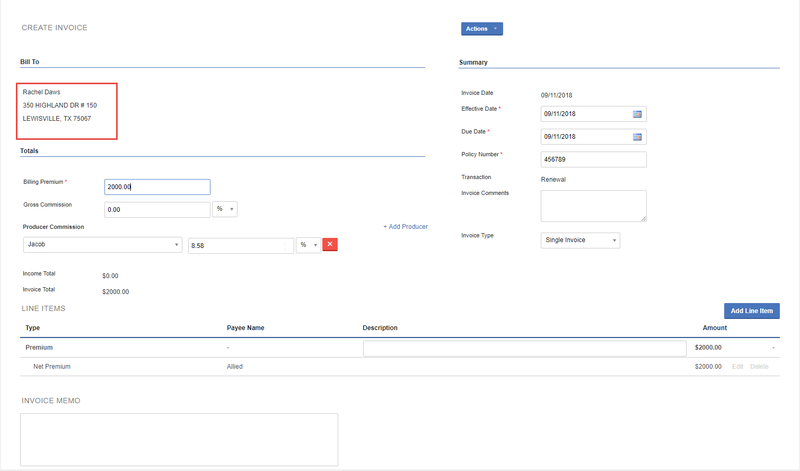 Search by ACORD form number, name or version. Filter by State, LOB, or Category. Access all Agency Forms templates. Search for any form by name or document type. Filter by the user who created the form. Select from any documents already stored in the applicant’s Documents tab in EZLynx. Search by document name or policy #. Filter by document type or user who created the form. Upload documents from your PC. Drag-and-drop to upload for these form types: PDF, JPG, PNG or DOC. Click ACORD Applications to land on the Selected Documents tab. Displays a list of documents matching the policy or application LOB. Reorder the documents by using the dots icon to drag-and-drop. 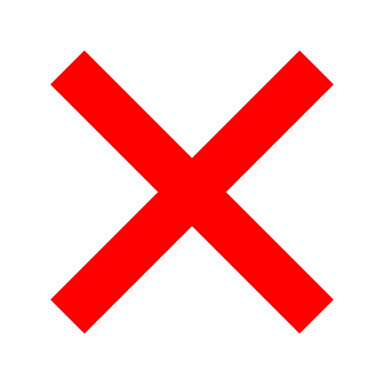 Click the trash can icon to remove a document from the list. Click on any other tabs (ACORD Forms, Agency Forms, Document Library and Upload) at any time to add more documents to the Selected Documents tab. Click Preview to open our new and improved Forms Editor. Find the Actions drop-down in the upper-right corner with more options. No need to save and leave the document and return to the Documents Library to distribute it! 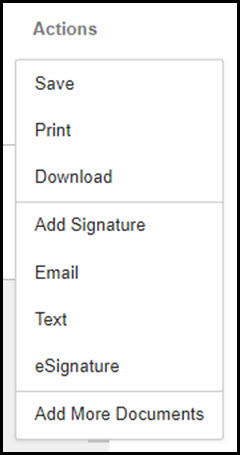 We added more ways to distribute the document, like eSignature, within the Forms Editor. 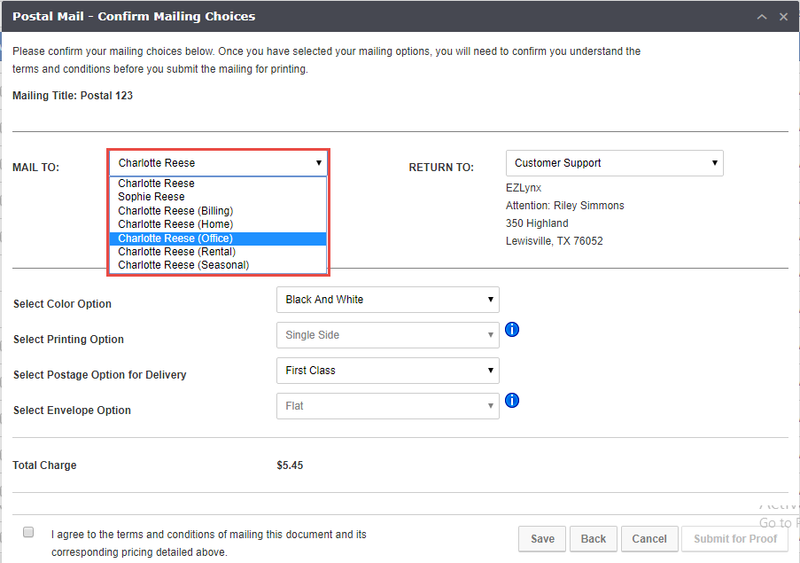 Return to the Forms Selector to add a missed document(s) and/or reorder the documents. Notice a Table of Contents on the left. Click any form name to review the form and make any changes. The document appears with the applicant’s information in the middle window. As a reminder, when one form is selected that is considered a subset of another, then EZLynx automatically adds that corresponding form. With this release, the change request feature will be now available for niche lines of business that do not have policy data entry support. Users will be able to enter the change description, generate a memo and take advantage of all the change request features. Click here for more information on EZLynx Policy Change Requests. Below is the change request example for “Contractors Equipment Floater” line of business. At Ezlynx we have taken the time to address some exciting changes. With this release, we have added changes to our search functionality when looking for an account within EZLynx. These changes will help your day to day operations by allowing you to see additional information while searching for customers so that your workflow moves seamlessly. Users can now see the status of their customers while searching for them. While you search for an applicant you will see their status (Active, Prospect, Inactive, Unknown). This value is set automatically for accounts with active and inactive policies and can be updated on the details tab. You will also be able to see the assigned user and agency. This will help your agency easily stay up to date on the status of your customers. 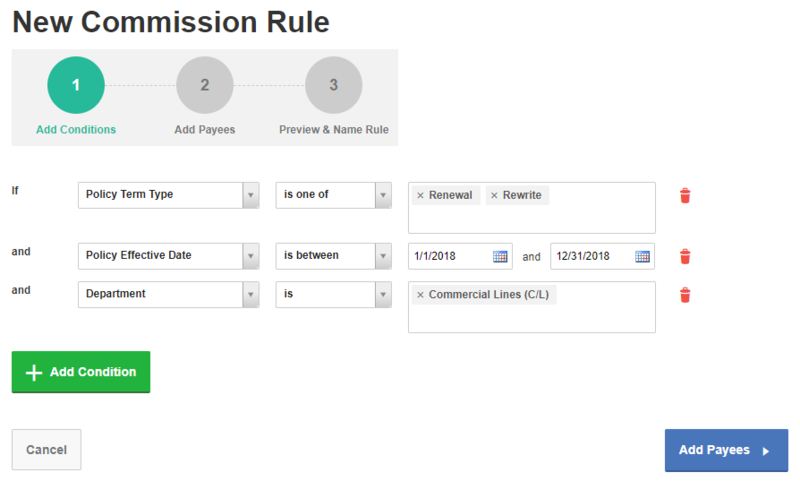 EZLynx is excited to announce a new and efficient commission rules workflow. With this beta version, you will be able to create and manage your commission rules using our new simple yet powerful workflows. We have also introduced more criteria/conditions in the rules so that you can expand how you track and pay producers. This quite a roll-out. I have looked it over somewhat, it will take me some time, effort, and experimentation to learn all that is there that pertains to my role within our agency. I am particularly enthusiastic about adding lists to tasks.